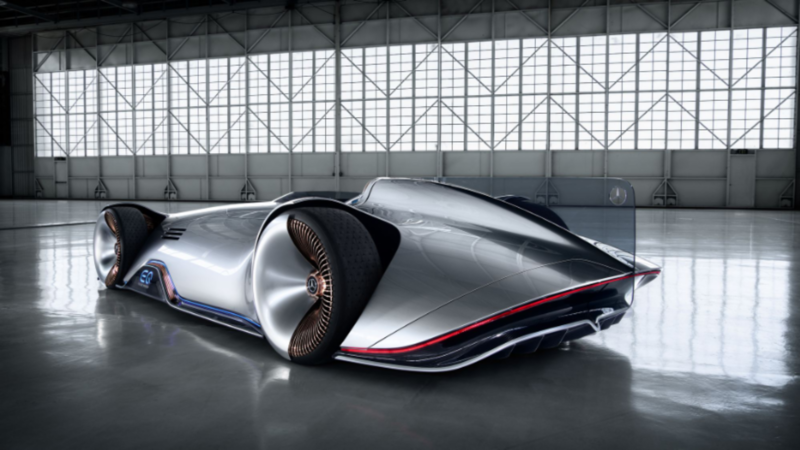 Slideshow: Progressive Luxury is exquisitely personified in this one-seater concept car that pays homage to the record-breaking W 125 car from 1937 while also giving us a glimpse into Mercedes-Benz's future. 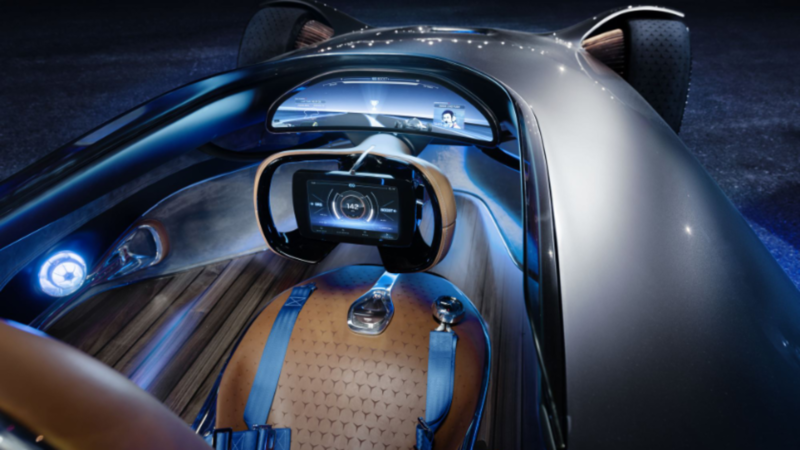 Daimler AG, the parent company of Mercedes-Benz, defines Progressive Luxury as "a conscious clash of digital and analog elements as well as the seamless merging of intuitive and physical design." It makes you want to nod your head in agreement even if you don't know what that might look like. 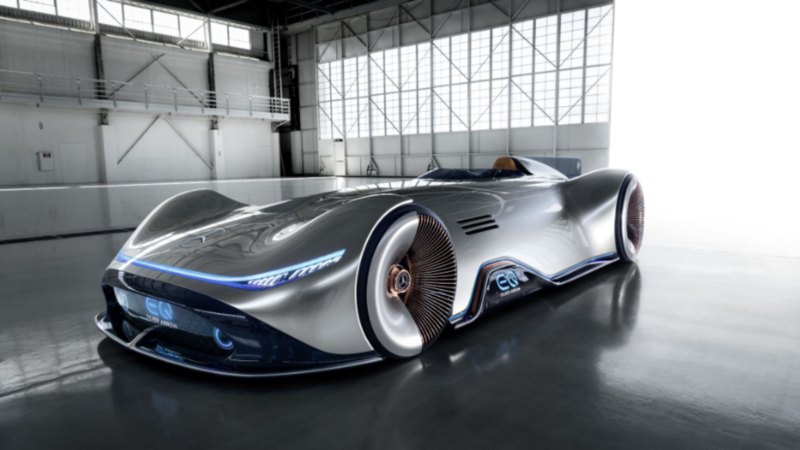 Well, look no further than this slideshow because Mercedes-Benz has conceptualized Progressive Luxury with the Vision EQ Silver Arrow, as pictured above. It's no secret that Daimler started building electric hubs for the production of electric vehicles and batteries worldwide, confirming that they take their electric future seriously. Automakers are required to convert most of their fleet to electric by 2022, so we are now looking at less than 5 years, and the biggest challenge for auto companies has been to increase battery and built production facilities. For their part, Mercedes-Benz has announced that by 2022, ten models will be EVs, spanning all segments, from city cars to large SUVs. 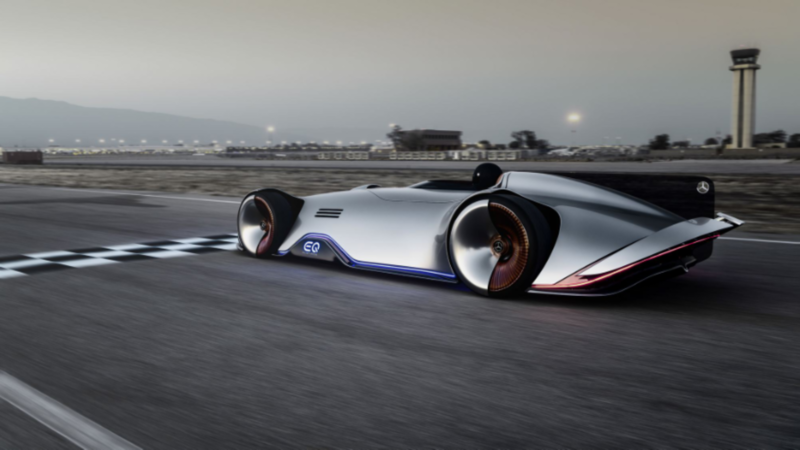 Once such vehicle, currently in the concept stage, is the Vision EQ Silver Arrow, an electric vehicle with a maximum output of 750 hp. The thin rechargeable battery in the underbody has a usable capacity of approximately 250 miles according to the WLTP. Side air vents help to cool the battery. But this concept show car isn't all about technical performance. It also offers a glimpse of how Mercedes Benz envisions its future. 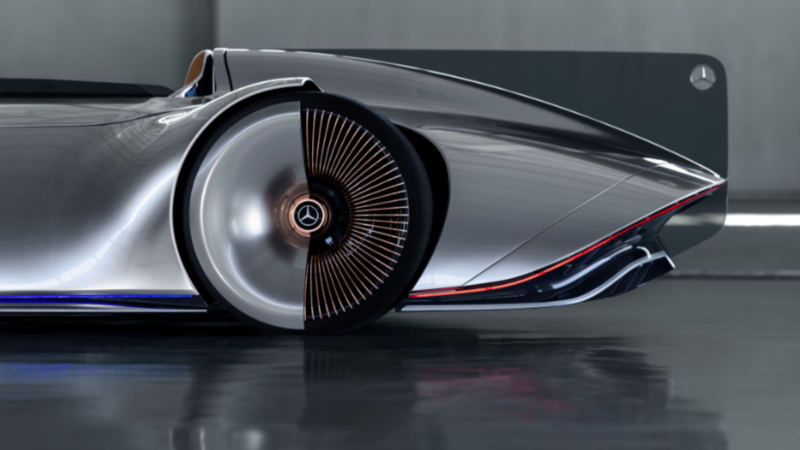 >>Join the conversation about the Mercedes-Benz Vision EQ Silver Arrow right here in MBWorld. 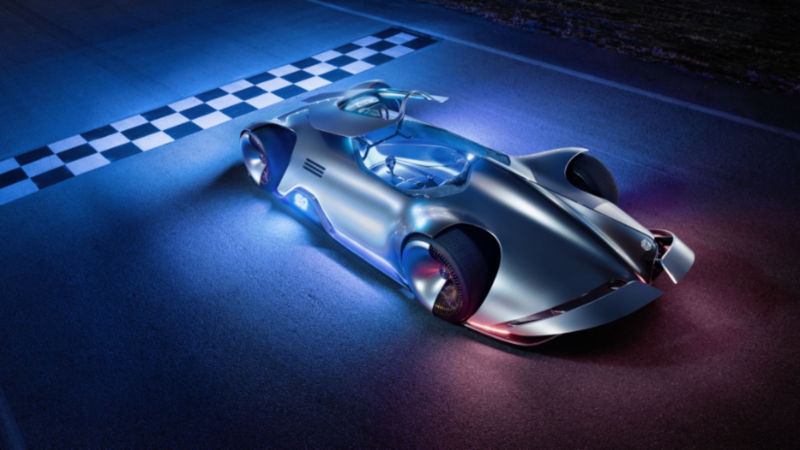 Painted in alubeam silver as a homage the historic Silver Arrows, the Vision EQ Silver Arrow wants to be both a ghost from the past and a vision of the future. 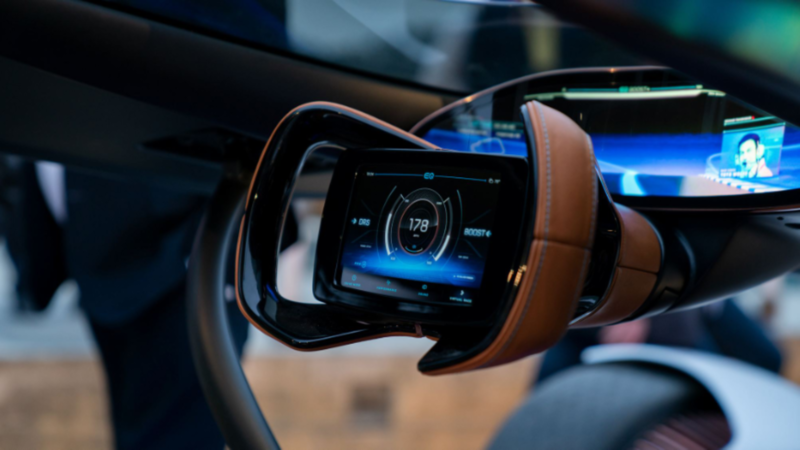 It combines traditional materials like polished aluminum, leather, and solid walnut, with high-tech gadgets like a futuristic curved panoramic screen with back projection, as well as a touchscreen integrated into the steering wheel. The first Silver Arrows, manufactured by Mercedes-Benz and Auto Union Grand Prix motor racing between 1934 and 1939, could not weigh more than 750 KG for Grand Prix racing, excluding tires and fuel. In order to save weight, Mercedes-Benz Grand Prix team racing manager Alfred Neubauer and driver Manfred von Vrauchitsch came up with the idea of removing all the white lead-based paint from the bodywork, revealing the silver aluminum beneath. 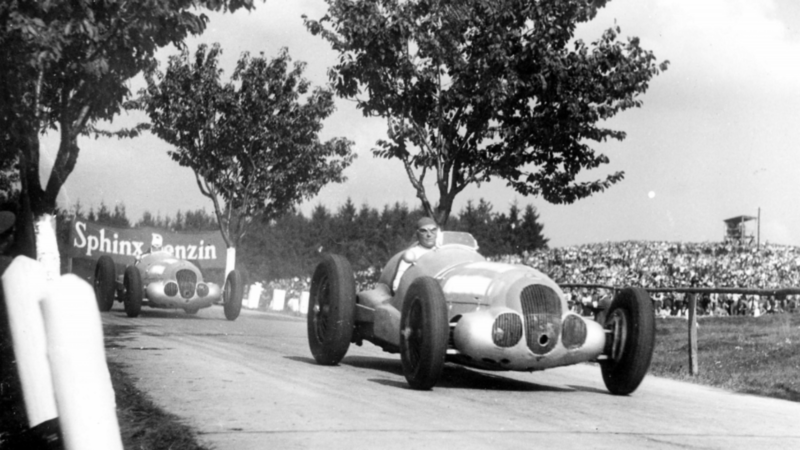 Von Vrauchitsch won the race and the nickname Silver Arrow was born. Design-wise, the Vision EQ Silver Arrow is 5.3-meter long, one meter high and shaped quite sensuously. 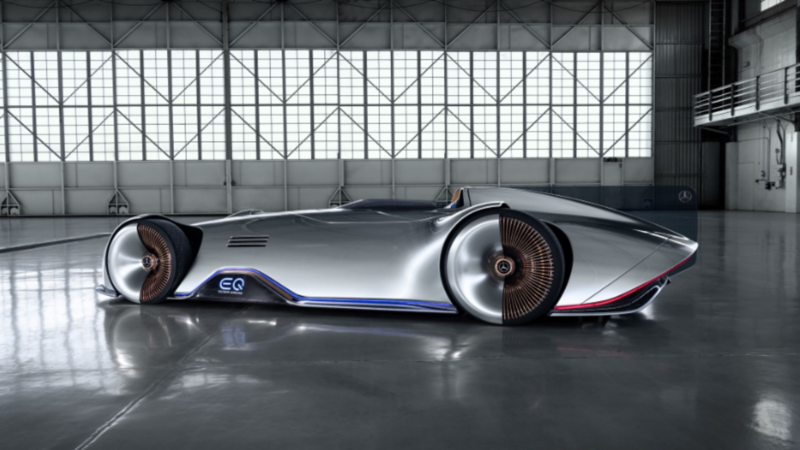 Unlike the original Silver Arrows, the Vision EQ is not made of aluminum, but of carbon fiber coated in multiple layers of alubeam silver paintwork that looks like liquid metal over the top. It's just like the car's body melted and then solidified to give it a fluid, almost syrupy look. The driver's cockpit can be folded forwards, and the partially free-standing multi-spoke wheels have slick 255/25 R 24 tires at the front and 305/25 R 26 tires at the rear. These tires were manufactured by Pirelli, which also included a unique star pattern on the tread. Another really cool element is the hubcaps, which are non-rotating and decorated with half silver trim, half rose gold spokes. Two extendible rear spoilers act as an air brake by increasing the wind resistance when deceleration is desired. Inside, the driver is surrounded by a large panoramic 3D screen that allows you to engage in a virtual race against historic or present Silver Arrow racing cars, making this car the first to incorporate a Forza-like experience within the confines of a car's cabin. Once more, a virtual Race Coach assistance function helps you become a better driver by giving instructions during the race, transforming this concept into a huge VR machine. A touchscreen can be found front and center of the Formula One-inspired steering wheel. The driver can use it to select programs such as Comfort, Sport, and Sport+, which offer different driving experiences depending on whether you are driving on the road or a track. Sound settings can also be configured on the center console. Choices include the sound of a current Formula 1 Silver Arrow or a Mercedes-AMG V8 engine. Mercedes-Benz has a lot of ground to cover by 2022, but their investment in electric cars across the board is impressive. Yes, they will offer the EQC all-electric SUV in 2019, followed by the two-door EQA, the GLC F-CELL, and even the FUSO eCanter for light-duty commercial use. But with the Vision EQ Silver Arrow, we get a sense that Mercedes-Benz appreciates where it came from and clearly knows where it's headed.